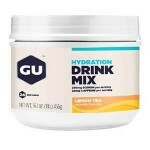 Gu has less sugar? Sweet! November 27, 2016 No Comments on Gu has less sugar? Sweet! Current crush! Maple syrup anyone? November 26, 2015 No Comments on Current crush! Maple syrup anyone?